With windswept coastlines, majestic mountains and sweeping glens as far as the eye can see, Scotland’s beauty is truly vast and endless. By embracing its inviting landscape and accepting nature’s invitation to explore, Scotland has enjoyed almost unspoilt land access throughout its history. Unlike the somewhat restrictive laws which govern rights of way south of the border, everyone in Scotland has the right to enjoy almost all land and inland waters. Though we firmly believe that our access rights are a gift which should be enjoyed, there are a number of responsibilities we must keep in mind. The Land Reform (Scotland) Act 2003 sets out the rights of walkers, horse riders, cyclists and canoeists. These rights have been made easier to follow in the Scottish Outdoor Access Code, but at 135 pages it isn’t exactly a light read! To help you explore responsibly, we’ve perused the facts and pulled out the key points for you. Be considerate and respect the privacy, livelihoods and needs of those enjoying the outdoors. Enjoy the places you visit and look after them by caring for wildlife and historic sites. Whilst land managers should take due care to ensure your safety, the outdoors cannot be made risk-free. Furthermore, Canoeing in English and Welsh rivers has long been restricted under current laws. The British Canoe Union has created the River Access Campaign in an effort to overcome these laws. The slogan of the campaign is ‘We have the right to roam, but not the permission to paddle’. Leisure pursuits such as hunting, shooting and fishing are all excluded from your access rights. 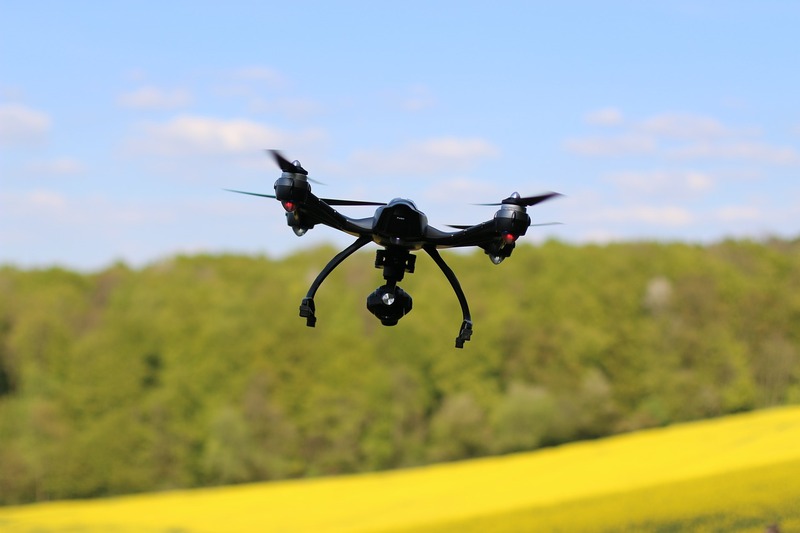 To undertake any of these activities you must have explicit permission from the landowner. 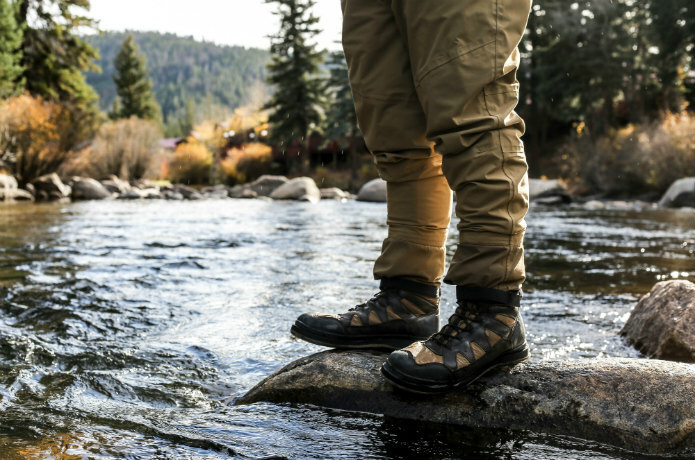 If you are stalking deer or fishing for salmon or sea trout, you must have landowner’s permission in writing. The law makes no distinction between air rifles and more powerful guns for which you need a licence – they are all classed as firearms. This means that any offence you commit can carry a very heavy penalty – and there are at least 38 different offences. If you are 18 years or older there are no restrictions on buying an air rifle and ammunition, and you can use it wherever you have permission to shoot. From December 2016, it is now an offence to purchase or use an air weapon in Scotland without an air weapon certificate. However, if you hold a valid firearm certificate that was issued to you before December 2016, you will not need to apply for a separate air weapon certificate. An air weapon certificate costs £72 for 5 years. 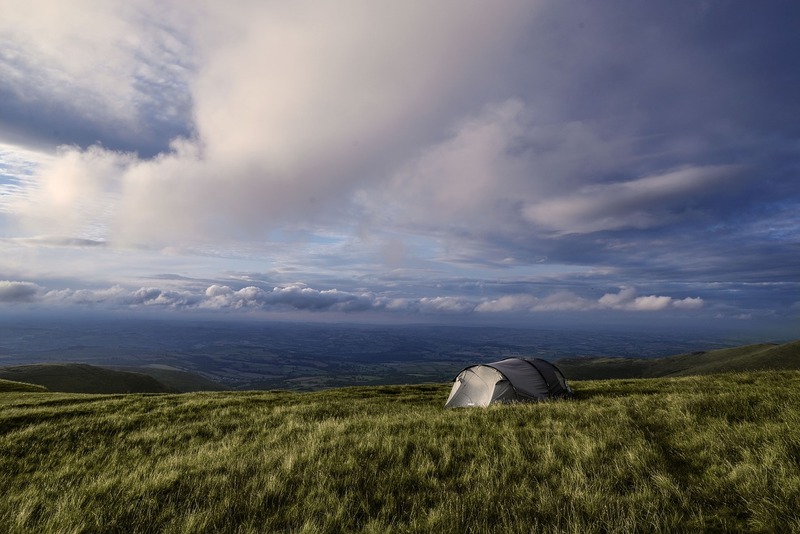 Wild camping in Scotland is allowed on most unenclosed land, aside from the obvious (like private residential land). 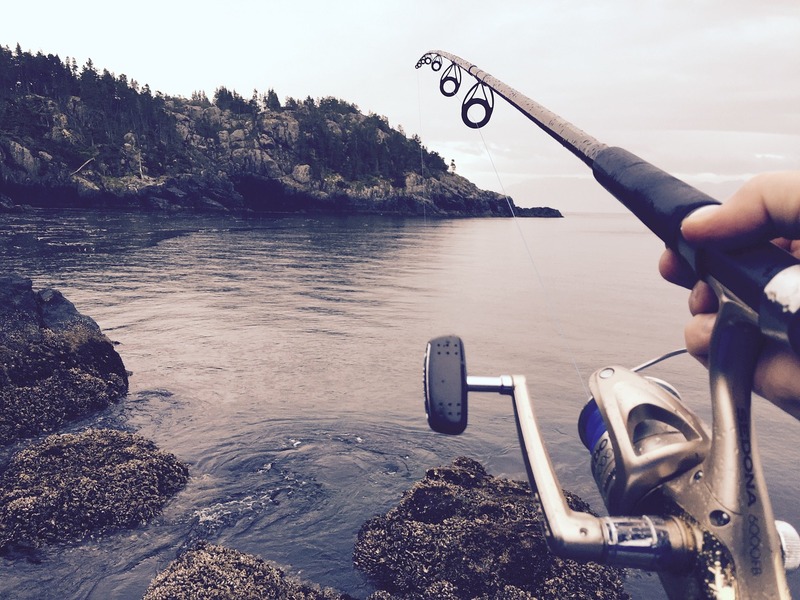 To ensure that you carry out leisure pursuits such as hunting, shooting and fishing safely, you must have the appropriate licenses and equipment. The Ainsley Wingfield Shooting Coat with CTX by outdoor outfitter Laksen boasts both form and function, keeping you warm and dry with its innovative CTX membrane, whilst staying true to tradition with its tweed jacket outer layer. Stay protected from top to toe with Laksen’s Turnerkamp Loden Breeks with CTX, crafted using the highest quality natural fibres. In Scotland you have the right to walk on most land, provided it is not part of the exclusion list above. To keep you right, ScotWays has been publishing a guide of all our nation’s rights of way for over 60 years. ‘Scottish Hill Tracks,’ is a catalogue of Scotland’s major rural routes. Quirkier walking laws include the right to ‘pass and repass along the way’ (that’s stopping, resting and enjoying the view without causing an obstruction to you and me), or taking a ‘natural accompaniment,’ such as a pram or wheelchair on your walk. What else is deemed a ‘natural accompaniment?’ We’ll leave that up to you. 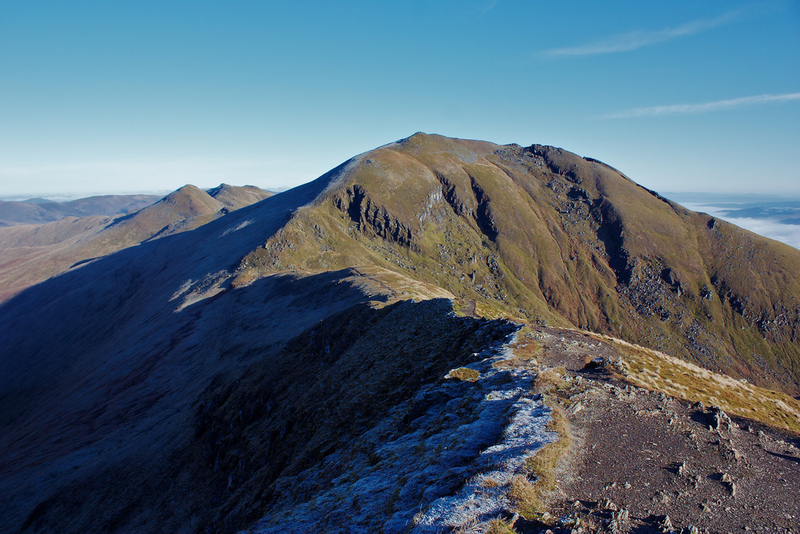 The Scottish elements and rugged terrain can make for challenging country walks. Being responsibly kitted out will allow you to explore safely. Laksen’s Tripod Seat offers a convenient way to take a much needed rest on longer journeys. A Thermal Bottle filled with your favourite hot drink will also make a welcome addition to your walk. Taking a hot drink with you is sensible during colder months, when winds from the North really start to bite. Finish the look with a sturdy pair of Loake shoes. Give way to walkers on narrow routes where possible, or look for an alternative path. Take care to avoid wet, boggy or soft ground. Try to avoid churning up land surfaces. Be careful to not alarm farm animals or wildlife, especially around fields. Do not enter fields with other horses or animals. Remember: You must get permission to carry out repetitive schooling on other people’s land. You also need explicit consent to use jumps or custom gallops when not already in use. Being appropriately dressed is vital to ensure safety on treks. Head protection should always be worn, as should high visibility clothing when necessary. 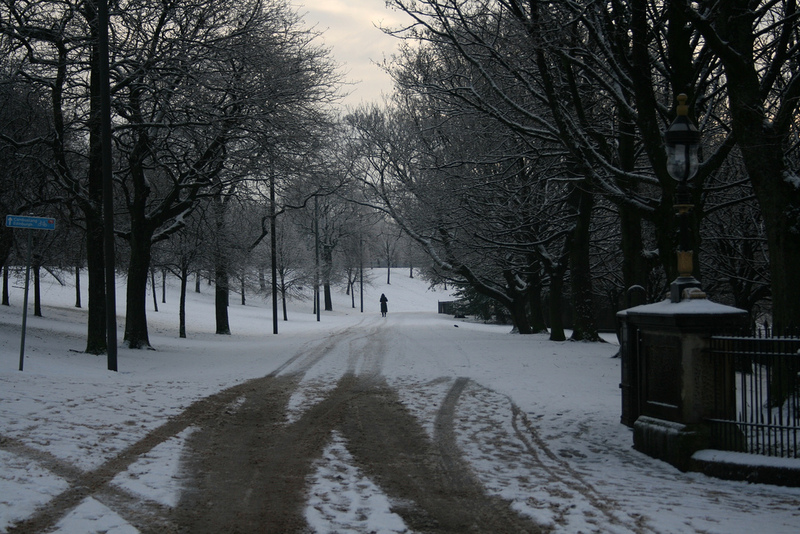 Stay safe by avoiding loose clothing and keeping warm and dry in the colder months. 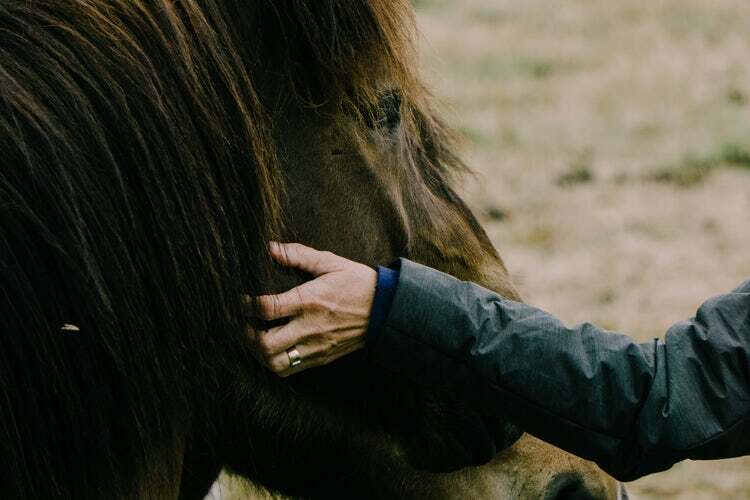 A jacket like the Lady Dalness Jacket with CTX is specially designed to protect you from the elements. For treks that may involve kicked up mud, a machine washable jacket is a practical choice. You are free to take your dog on footpaths provided he is kept under close control. There is no requirement for footpaths to be suitable for dogs, so ensure that your dog can cope with rough terrain. The Scottish Outdoor Access Code has produced a brief leaflet covering the fundamentals of walking your dog. Keep your dog away from farm animals, especially younger animals that can become startled easily. Keep your dog on a short lead in recreation areas, public places and fields of farm animals. Do not take your dog through fields of crops unless there is a clear path, which you should stick to. Ensure your dog doesn’t disturb ground nesting birds by keeping your dog on a short lead. Always bag and bin dog waste. Remember: Under the Animals (Scotland) Act 1987, a farmer has the right to shoot your dog if it is endangering farm animals, in some cases. Keep your dog away from farm animals to protect you, your dog and the farm animals. 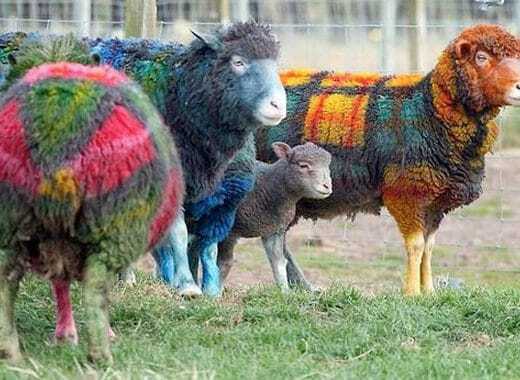 Scotland’s changeable weather can take its toll on your dog. 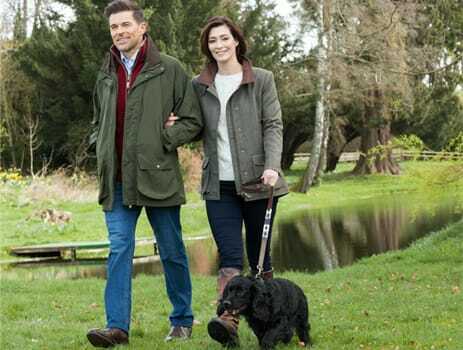 Keep him warm with Barbour’s Quilted Dog Coat. 70g of insulating wadding will be certain to keep out the cold, whilst Barbour’s traditional tartan lining and smart corduroy collar will make him the smartest dog in town or country. Pair the coat with Dubarry’s Glenbrook collar, perfect to attach tags, bells, lights or reflectors for identification. 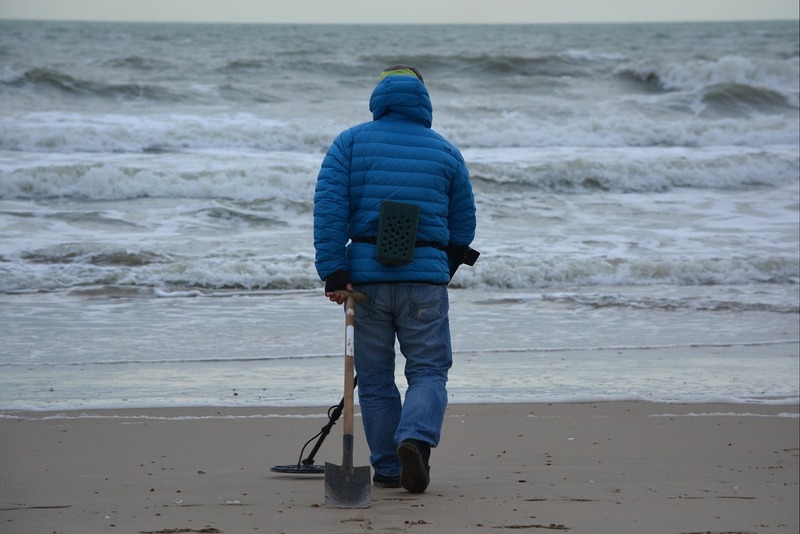 Metal detecting laws are essentially the same across the entirety of the UK (aside from in Scotland and Northern Ireland, where licenses must be obtained). The UK bird watching laws and codes of conduct are a bit hard to make sense of, and don’t seem to be as comprehensive as the American alternative. Luckily the code of ethics from the ABA (American Bird Association) is pretty applicable to anyone who is involved in birdwatching. Promote the welfare of birds and their environment – this essentially boils down to being considerate. If you’re taking pictures or filming, try to do so as discreetly as possible. Keep well away from nests, and limit the use of artificial lighting. Respect the law, and the rights of others – this is less about the birds and more about landowners. Do not enter private property without explicit permission from the landowner, and follow all laws of the countryside/road. Group birding, whether organized or impromptu, requires special care – be helpful and considerate of beginners, keep group sizes to a limit that reduces impact on environment, and be an ethical role model for the group. Photography Ethics – use an appropriate lens to photograph animals. If the animal appears stressed then move back and use a longer lens. Prepare yourself and your equipment for unexpected events so as to minimise disruption if anything goes wrong. Unlike other British countries, Scotland has no national rod licence . It is generally a civil offence to fish for most types of fish (salmon/sea trout usually requires legal right or written permission). Waste disposal (fly-tipping ) is defined as the illegal deposit of waste onto land which is not licensed to accept it, i.e disposal of waste anywhere apart from at a dump. Aside from ruining the beauty of the countryside, fly tipping can also cause harm to wildlife and humans, and is considered a serious crime. Noise pollution is more of a problem then ever in the countryside. Thanks to technological advancements, even the smallest phone can make a noise loud enough to disturb anyone (or anything) within a 50m radius. Noise pollution is defined as any ‘unwanted or disturbing sound’, and although the definition of the term ‘unwanted sound’ is debatable, however there are plenty of people (and animals) who would consider the emitted from some of the equipment used in the hobbies listed within this guide as ‘unwanted’, which is why it’s important for everyone involved in countryside hobbies to be aware of noise pollution. Rather than being a mere annoyance, for many noise is actually harmful to health and wellbeing, and it can certainly disrupt the tranquility of the countryside. An SSSI is a Site of Special Scientific Interest, and there are over 4,000 of these sites across England (covering roughly 7% of the country) and almost 7,000 across the entire UK. This is why it’s vital to familiarise yourself with these sites if you plan on rambling around the countryside. When an area of land is classified as an SSSI, it is generally regarded as an important geological/wildlife area, usually because they are home to species who would struggle to survive elsewhere (due to developments and pollution). Areas are identified as an SSSI by Natural England. 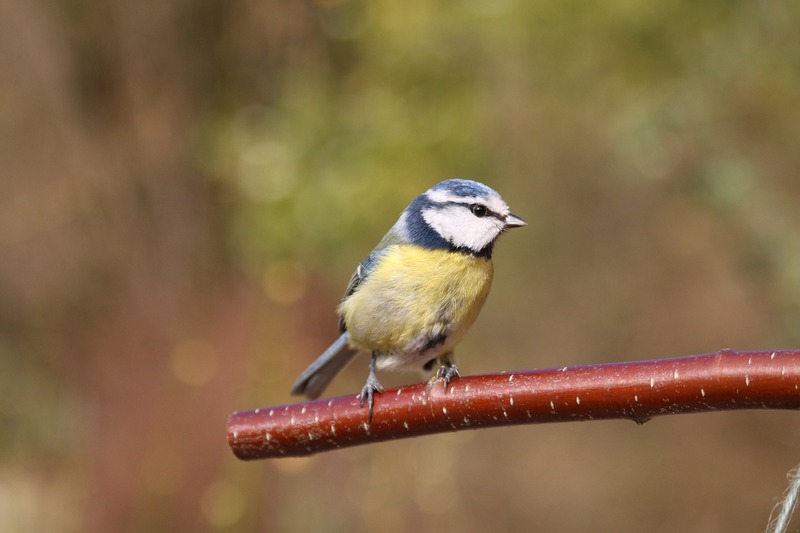 If you’re fortunate enough to live in the countryside, you may consider setting up a small garden for local wildlife to enjoy. This is known as ‘wildlife gardening’, and can help support the safety of surrounding wildlife by creating an environment which feels similar to their natural habitat. However, you need to ensure that your garden is creating a safe environment for the nature, otherwise you could end up doing more harm than good. If you start feeding animals, don’t stop. Animals like birds and hedgehogs could become reliant on you providing food, and if you stop they could struggle to adapt. Building a wildlife garden is a big commitment! Don’t be too ambitious and try to grow too many different types of plants. Most garden flowers like lavender are perfect for nectar and will flower for longer. 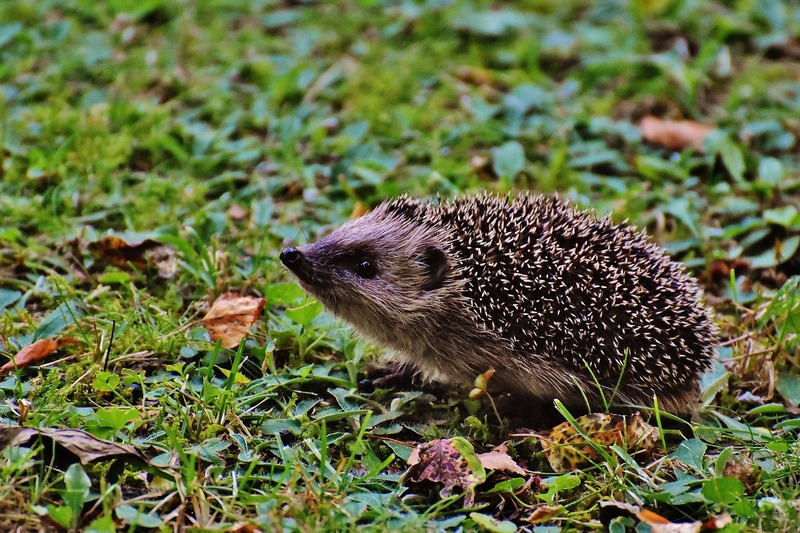 The countryside is home to various types of animals which you likely won’t find in more urban areas, and arguably the most vulnerable of these animals is the hedgehog. Despite their prickly appearance, they’re far from being aggressive – they’re timid animals who will curl up into a ball at the slightest sign of danger. It’s not uncommon for people walking in the countryside to stumble across a hedgehog looking a little bit worse for wear, as they tend to get themselves into bother quite frequently. The real question is what to do when this happens, and how you can help to protect hedgehogs in the longterm. If you have found a hedgehog you feel concerned about, consider your own safety first. Ideally use gloves like garden gloves to pick the hedgehog up, and take it to an indoor area where you can place it in a cardboard box with a towel. If possible, place the hedgehog in a warm area (or fill a hot water bottle and place it under the towel). 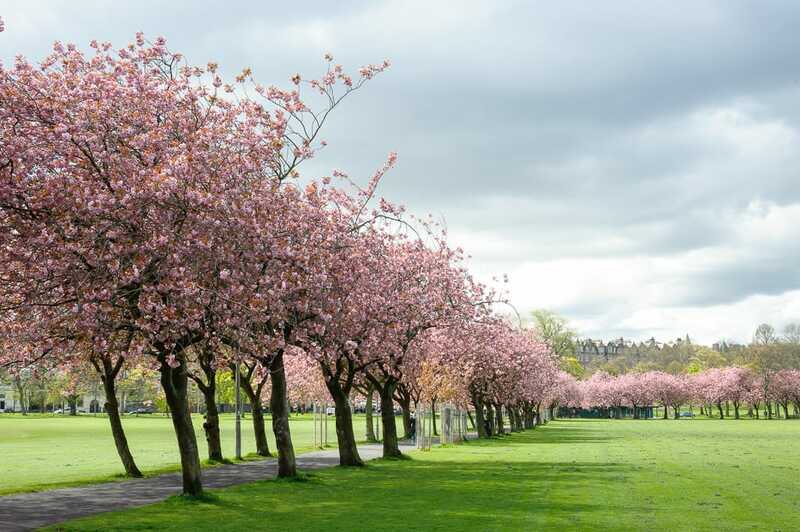 Often the best areas of countryside are hidden within our cities – The Meadows in Edinburgh is a perfect example of this. Hidden with the Scottish capital is arguably one of the best open spaces in the entire country. Not only is it incredibly well kept, it’s home to a whole host of different activities and clubs. Here you’ll find dog walkers, footballers and more recently drone pilots. There are also facilities like tennis courts, cafes and toilets. The meadows was once home to a loch which supplied the city with water, which probably explains why the grass is so green and luscious. Also, respect the fact that people are visiting the park for different reasons. So although you may be there to play and have fun, others may be there to relax and enjoy some peace. Try to limit noise levels as much as possible. If the Meadows is the ultimate open space for activities in Edinburgh, then Holyrood Park could be described as the best place in Edinburgh simply to take in the view. 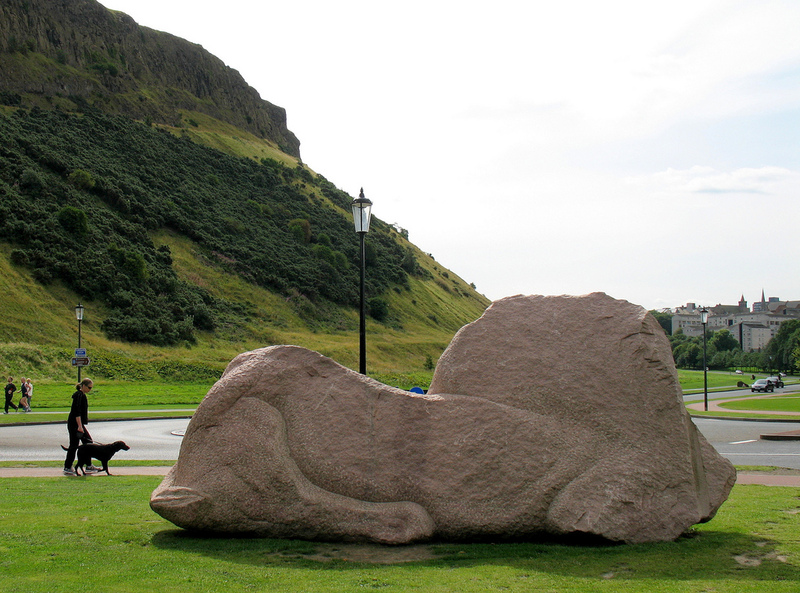 Overlooked by Arthur’s Seat, most of Holyrood Park tends to be occupied by locals enjoying a leisurely stroll around the area. However for anybody looking to take in the best view in the city, Arthur’s Seat (an extinct volcano) is only a short climb at around 250 metres high. Historic Scotland manage the area, and their work has been critical in ensuring that the beauty of the park remains intact, however some responsibility should also fall on visitors to the park. Upon visiting Pollok Park, you might find it hard to believe that you’re still in Glasgow. Instead of feeling like a park located in the middle of one of the most populous cities in the UK, it feels like a step into the tranquility of the Scottish countryside. That’s exactly why this park is so treasured by the locals, who have maintained the cleanliness and peacefulness of the area, despite the chaos of the streets and roads only kilometers away. In 2006, the park was named Britain’s Best Park, and in 2008 it was voted the best in Europe. 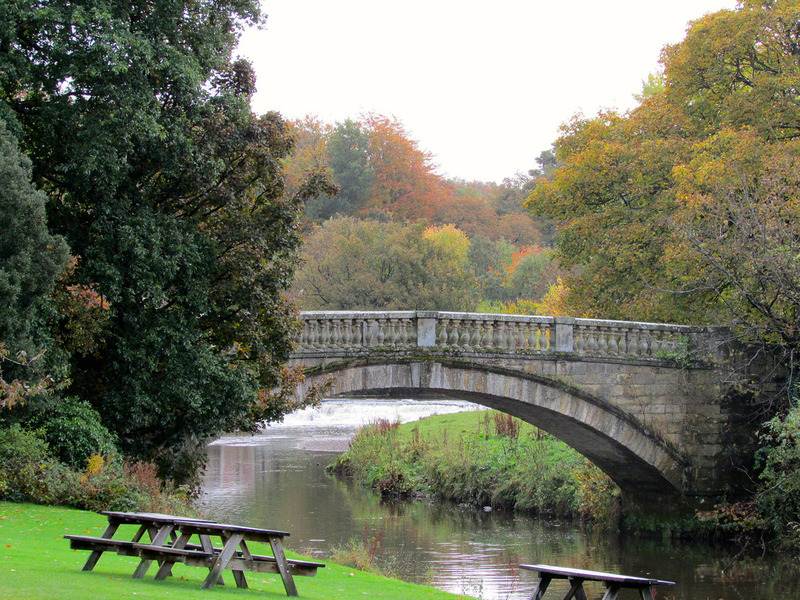 Part of the appeal of this park is that it isn’t just for relaxing in – it’s also home to a variety of events, including the Pollok Park Run. The park is extremely well kept, and part of the reason for this is that the locals treat the park with huge amounts of respect. Located in the heart of Pollok Country Park is Pollok Country House, a grand building which is managed by the National Trust For Scotland and is free for the public to visit. The house is home to a collection of rare Spanish paintings, and has been preserved very well despite being built in the 18th century. Antique furniture can also be found within the house. The main attraction tends to be the incredible garden, which boasts a collection of over 1,000 species of Rhododendron plants. A large beech tree in the middle of the garden is known as the Pollok House Beech, and is thought to be over 250 years old. If you’re near the West End of Glasgow, Kelvingrove Park is well worth a visit. Located on the river Kelvin and home to the Kelvingrove art gallery and museum, there is plenty to see and do at the park, which attracts visitors all year round. The park was created in the 19th century, and was intended to provide an area of peace and tranquility which locals could enjoy to escape the hustle and bustle of the city. For many, the park still serves the same purpose to this day. Kelvingrove museum opened in 1901, and has long been considered one of the best free attractions in Scotland. The contents of the museum and gallery include art from many different periods of history, including a very famous piece from Salvador Dali. Nestled in the heart of Kelvingrove Park, if you’re visiting the park you may as well stop off at the museum and gallery. 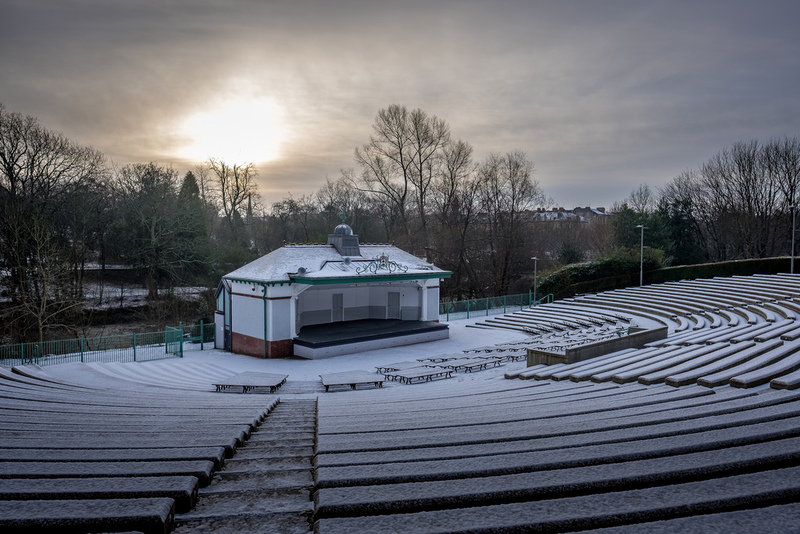 From the West End to the East End – Glasgow Green might not be as pretty as the other 2 parks listed in this guide, but it still attracts many visitors, both locals and tourists, to it’s grounds. Glasgow Green is also the oldest park in the city by quite a long way, making it extra special in the eyes of the locals. It was established in the 15th century, long before Kelvingrove and Pollok. Playing fields and other facilities are available for all to use, however it is asked that nothing is ‘hogged’ and that all areas are kept clean and free from litter etc. The Glasgow Necropolis is a Victorian cemetery in Glasgow, located to the East of St Mungo’s Cathedral and opened in 1833. The cemetery is a popular tourist attraction, not only due to the location but also due to the significant number of people buried there – over 50,000 people, represented by around 4000 monuments and many more tombstones. The cemetery was heavily influenced by the Pere Lachaise cemetery in Paris, which is often regarded as being the first ‘garden cemetery’. It was also one of the fist cemeteries in Britain to profit from burying the dead, moving this responsibility away from the church and into the hands of the Merchant’s House of Glasgow. 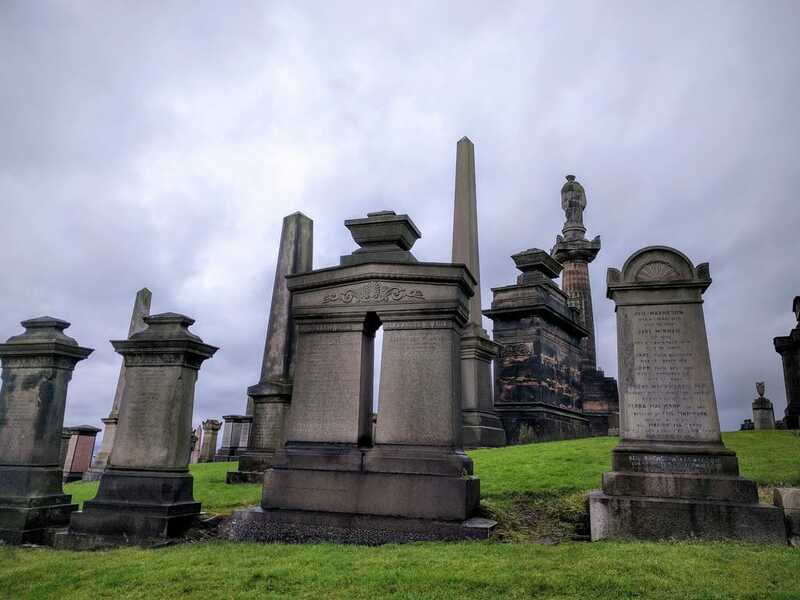 Much of the layout of the cemetery was provided by architects like Alexander Thomson and David Hamilton, and it really shows. There is a bridge leading into the cemetery (designed by David Hamilton) which eventually became known as the ‘Bridge of Sighs’ due to the number of funeral processions happening over it. There are some notable monuments in the cemetery, including one for John Knox and one for Charles Tennant. It may be considered a tourist attraction, but it is important to remember that people still visit the cemetery to pay their respects and it is the burial ground of many loved ones and soldiers. So please be respectful and behave in an appropriate manner during your visit. Home to one of the most varied and popular collections of wildflowers across the whole of Britain, and a whole host of some of the rarest wildlife you’ll find within Scotland, Ben Lawers Nature Reserve is something of a hidden gem in Scotland – despite being one of the tallest mountains in the country. Popular with hikers and nature enthusiasts, the mountain has become well known for boasting arguably the best view of the Scottish countryside. The terrain of the mountain is refreshingly accessible, and will appeal to both seasoned walkers and families with young children. 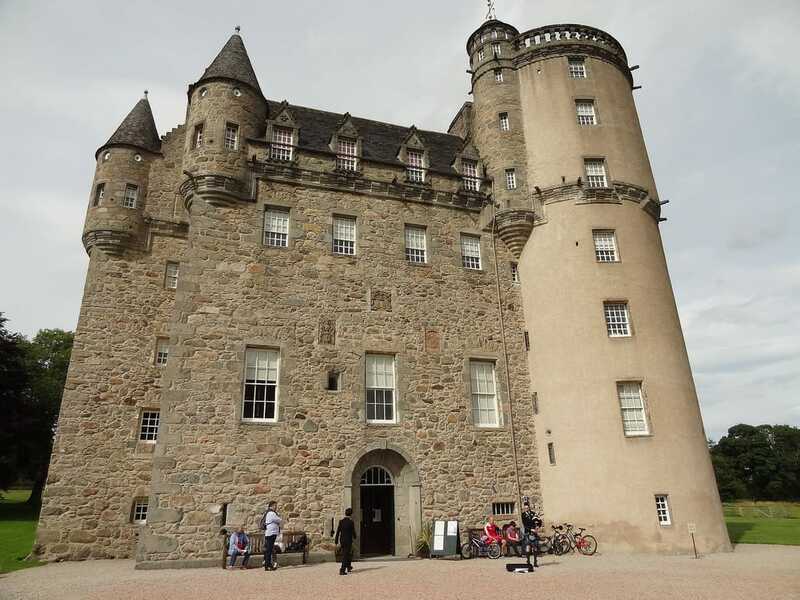 Castle Fraser is one of Scotland’s oldest and largest tower houses, and is full of quirky and surprising features which make it a real delight to visit. One of the best things about the tower is that the access is almost unlimited – you can climb the stairs and enjoy the stunning views from the very top of the tower. The castle was home to the Fraser family for over 400 years, and is full of family portraits and heirlooms which are still in mint condition. After you’ve explored the tower, the surrounding garden and forest areas are well worth a visit too. Home to organically grown produce and a ‘Woodlands Secrets’ play area, there is plenty to be explored for all ages. 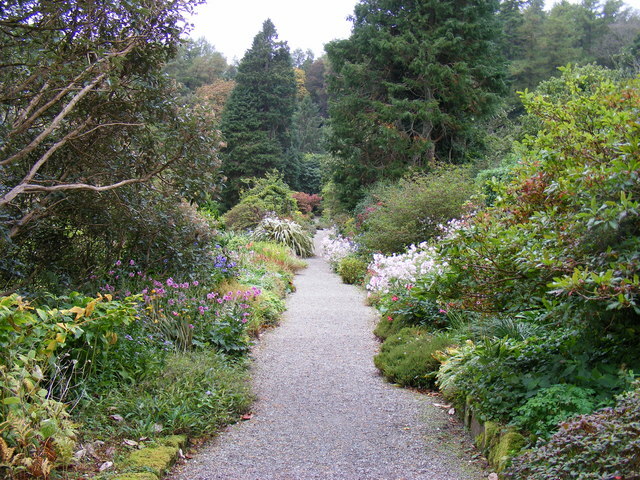 Arduaine Garden is a colourful and beautiful garden based in Argyll, which attracts thousands of visitors to this fairly remote part of Scotland every year. The garden has a distinctively ‘exotic’ feel to it, and this is entirely deliberate – it was built in the 19th century with the intention of imitating some of the incredible gardens throughout the world. The remote location of the garden actually works in it’s favour – the warmer airs which come in from the North Atlantic allow for a wider variety of flowers to be grown compared to the rest of Scotland. 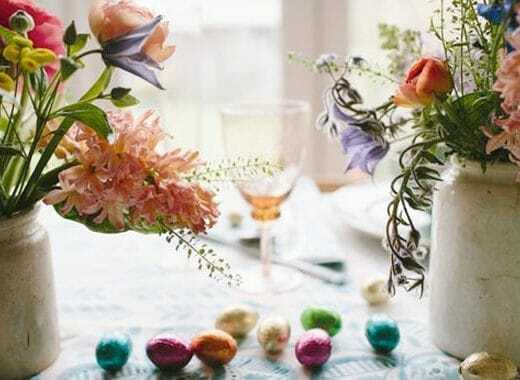 This has led to everything from East Asian to South American plants and flowers to thrive in the gardens, making it a very popular location with enthusiasts. ‘Well behaved’ dogs are allowed however this is very subjective! 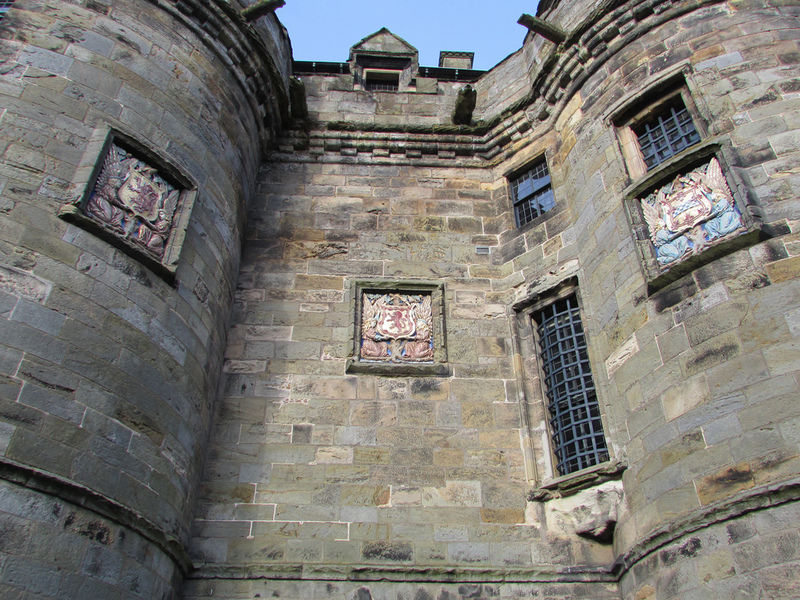 Falkland Palace is a royal of the Scottish Kings based in Fife which was once the home of Mary, Queen of Scots. The land was originally the site of a hunting lodge, but in the 13th century a fully fledged palace was developed. The gardens which surround the palace (which are more than 3 hectares in size) are famous for being the home of the world’s oldest tennis courts. The gardens are probably responsible for attracting the majority of visitors to the palace as they are such a delight to explore. The grounds are home to a variety of wildlife, something which has been encouraged by the NTS. A meadow has been developed to encourage wildlife to live there. It is mostly rare insects which are found in the meadow (some of which won’t be found anywhere else in Scotland), but there have also been sightings of red squirrels in the grounds. The gardens are also home to more than 10,000 wild flowers, which visitors are prohibited from picking but are more than welcome to admire! 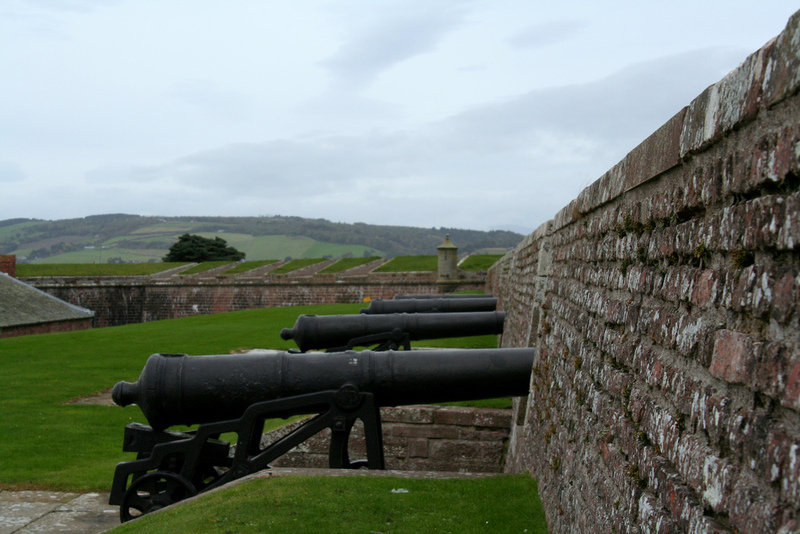 Fort George is one of the most historically interesting areas of Scotland which you can visit today. Built in the 18th century, it was originally intended to act as a fortress which would pacify the Scottish Highlands in the aftermath of the Jacobite rising. The fortress was never attacked, which is testament to how daunting it is. Much of the reason Fort George is such a delight to visit is due to the design of the fortress – it is shaped like a star, with outposts at each point. The building has remained almost completely unaltered since it was initially built, and is still in use as army barracks. Most of the site is still accessible to visitors, however there is a small entrance charge (the money is used to fund the maintenance of the building). Displays and actors recreating activities which soldiers would partake in at the fortress happens quite frequently, so if you see people dressed funny jumping around then it is probably just actors! There is a museum called the Highlander’s Museum there which displays uniforms, medals and weapons. It is asked that visitors be respectful of the items in display in the museum. The main rampart is bigger than the size of 5 football pitches, so be prepared for some serious walking! 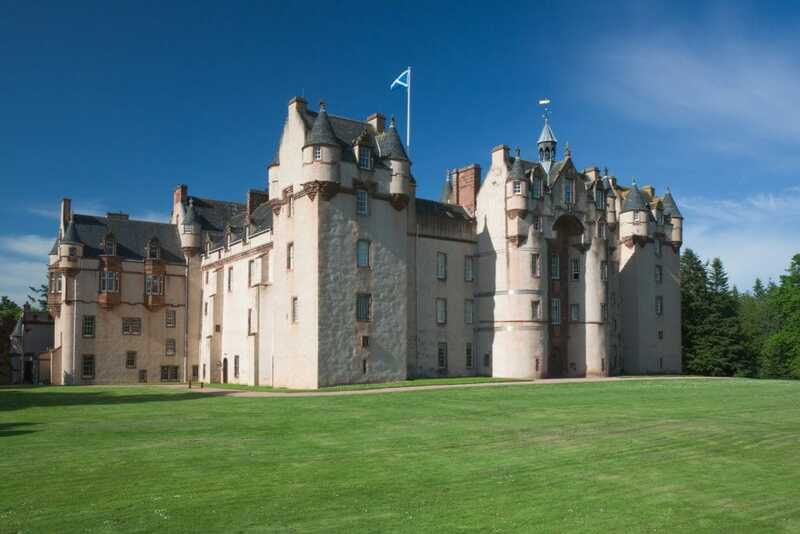 Nestled in the heart of Aberdeenshire, the rather awkward location of Fyvie castle means it is often overlooked as a Scottish castle worth visiting. However, it is well worth the trip up north to take a look at this incredible 800 year old fortress. One word springs to mind when you first lay eyes on Fyvie Castle – grandeur. Surrounded by pristine grass and a picturesque loch, the castle grounds are in immaculate condition thanks to the ongoing efforts from the NTS. Other notable features of the castle surroundings include a glass-roofed racquets court and a walled garden. 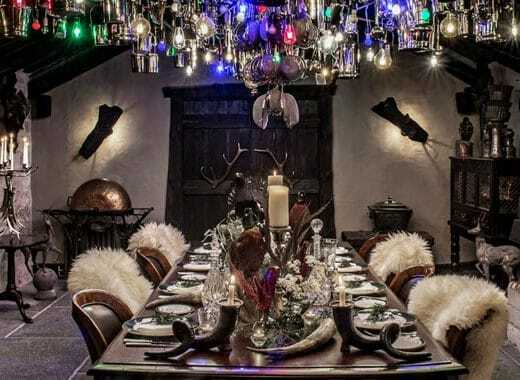 Inside, the castle is full of history – you’ll find everything from portraits to a ‘death mask’. The castle is said to be haunted, and has featured on many tv shows about haunted buildings. So if nothing else, please respect the wishes of the previous residents and be respectful to their home! The Fyvie Live Music festival is now being held there every summer – by all means have a great time, but don’t make too much of a mess! 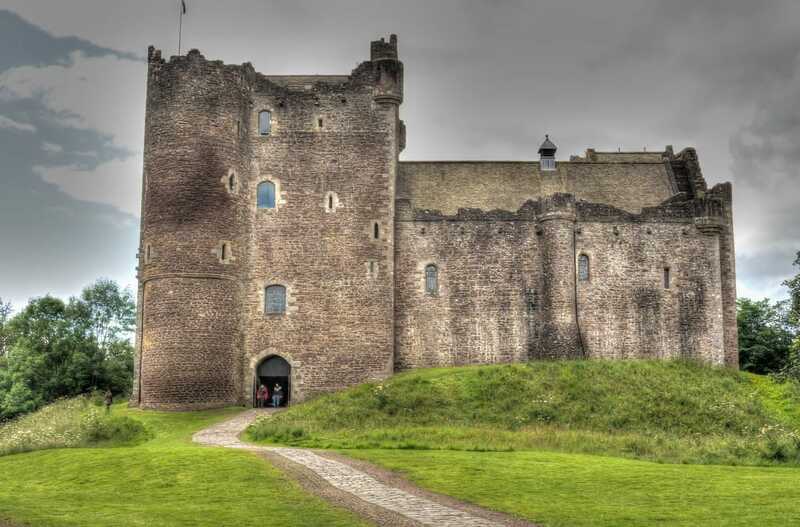 Doune Castle is fairly unique in it’s location, especially compared to other Scottish castles such as Stirling and Edinburgh. It doesn’t sit on a hill – it’s actually located in a fairly flat section of the Scottish countryside which doesn’t make it a very difficult castle to reach. The castle has remained in very good condition, and is a great place to visit with younger children. There is an audio tour which is narrated by Terry Jones (formerly of Monty Python). Despite it’s ruinous condition, Uruqhart Castle remains a stunning castle to visit. 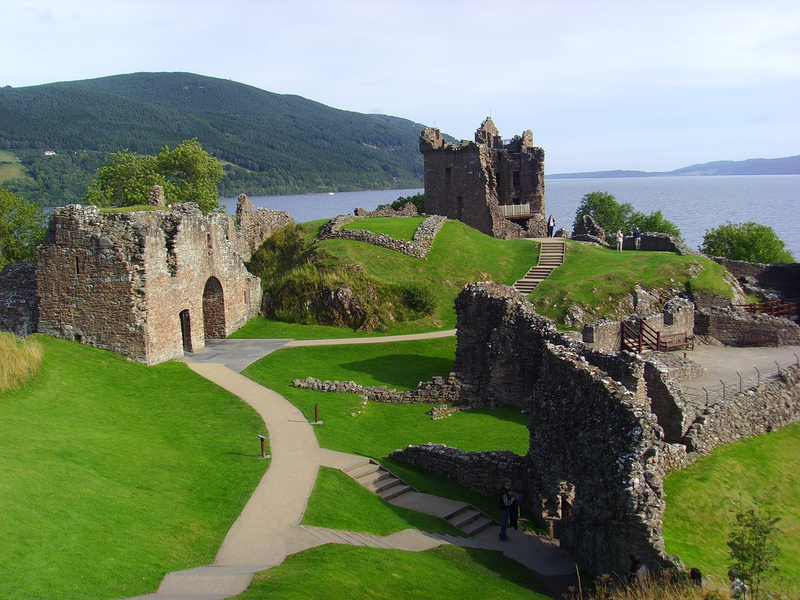 Located on the banks of Loch Ness, it was once one of the largest castles in Scotland. The guardhouse and various battlements are still accessible, and there is also a working trebuchet which can be viewed. The castle can still be visited, and it’s countryside location makes it one of the most special castles to visit in the whole of the UK. 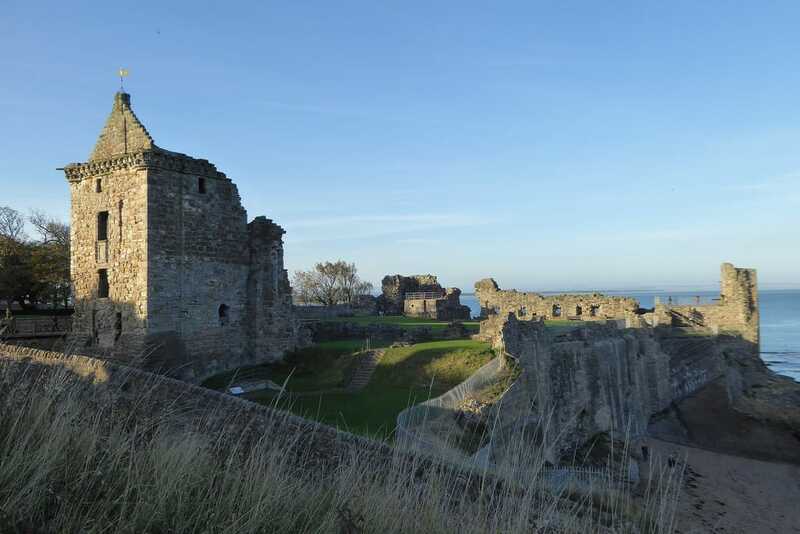 St Andrews Castle is often overlooked, however it’s worth the trip to Fife to visit the castle. Located right on the seafront and home to an underground mine, the castle might be small compared to some of the others in this list, but there is more than enough to do when you arrive to keep all entertained. The castle is also home to the ‘bottle prison’, one of the most infamous castle prisons in Britain. Getting to St Andrews isn’t the most straightforward trip you’ll ever take, however it’s well worth the effort. Generally the weather is quite good in St Andrews, however it’s still advised to bring warm clothing and suitable footwear with you when visiting in case of rain. 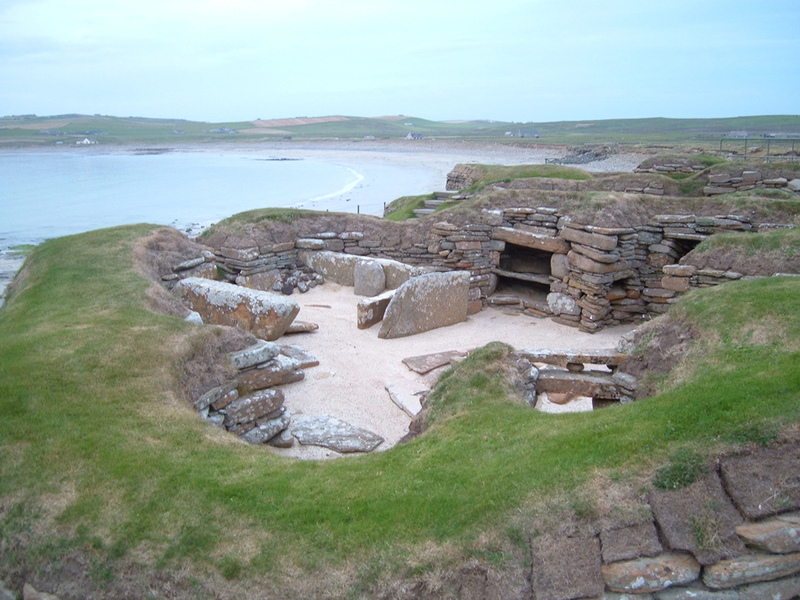 Skara Brae is a stone built settlement based in Orkney, dating back to roughly 3100 BC. It is regarded as Europe’s most complete Neolithic village, and is older than both Stonehenge and the Great Pyramids, at over 5,000 years old. The village was uncovered in the 19th century during a snowstorm, and although artifacts have been taken from the site since it was uncovered, it has remained incredibly intact, and is now a major tourist attraction (despite it’s obscure location). There is a visitor attraction on site which is full of artifacts and information about the site. The Callanish Stones (also known as the Callanish Standing Stones) are a group of standing stones in the Outer Hebrides. Similar to Skara Brae, they date from the Neolithic period and are estimated to be around 5,000 years old. Archaeologists have discovered that the site was likely used for rituals during the Bronze Age, however other theories exist. Some astrologists believe that the circle could have been used as a lunar observatory area. There are 13 stones arranged in a circle formation, with each stone between 10 and 30 metres long. The visitor centre at the site is full of more information about the formation and the various theories surrounding what it could represent. 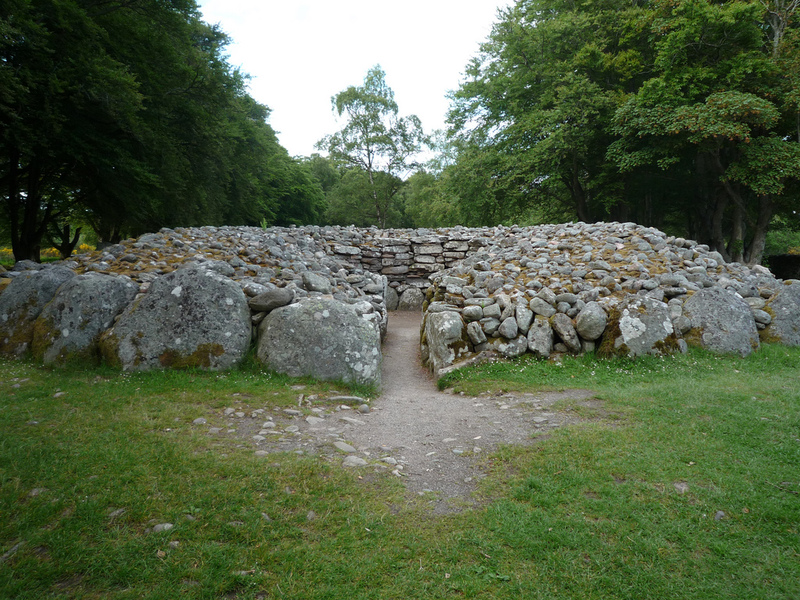 The Clava Cairns is a cemetery dating back from the Bronze Age, located near Inverness. The settlement is renowned for being very well preserved despite being roughly 4,000 years old. The layout of the cemetery consists of 3 ‘cairns’ arranged in circular shapes, marked out with small standing stones. The cairns are located on a terrace above the River Nairn, and are described as ‘burial cairns built to house the dead’. Despite the grisly description, the settlement is well known for being very picturesque and quite beautiful in a very morbid way. The burial chambers at the cairns are obviously cleared now, but research has indicated that only 1 or 2 people would have been buried in each of these cairns. This suggests that whoever was buried here was very important, and likely to be a chief or similar. 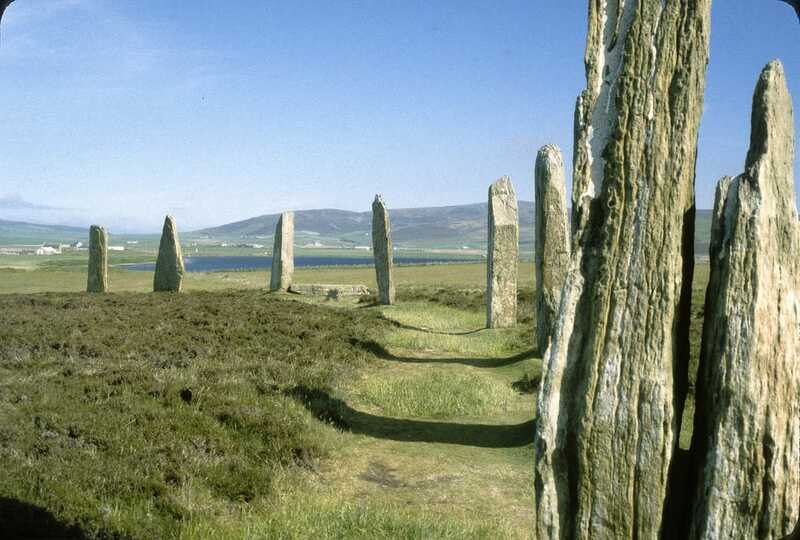 The Ring of Brodgar is a Neolithic henge and stone circle based in Orkney. Most henges do not contain stone circles, so Brodgar is unique in this respect. The exact age of the Ring of Brodgar is unknown, however it is likely over 4,000 years old. Much of the spectacle of the Ring of Brodgar is the sheer size – it originally consisted of around 60 stones but 36 stones are left standing. It is generally regarded as one of the most impressive Neolithic monuments on the British Isles. 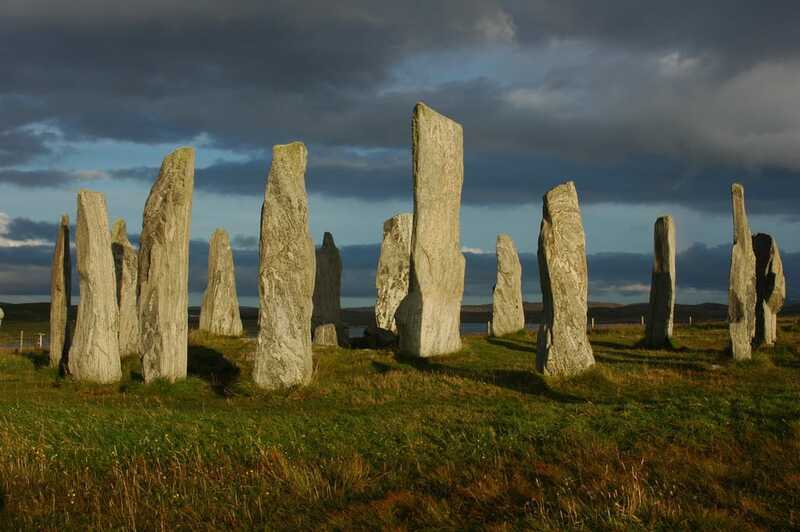 The Ring of Brodgar is free to visit, and is open all year round. There is parking on site fairly close to the ring, however it is still based on grassy slopes so isn’t the easiest terrain for wheelchair users. Situated on the Droma River just south of Ullapool, Corrieshalloch Gorge is one of the most famous gorges in all the Highlands, mainly because it was formed during the last Ice Age. 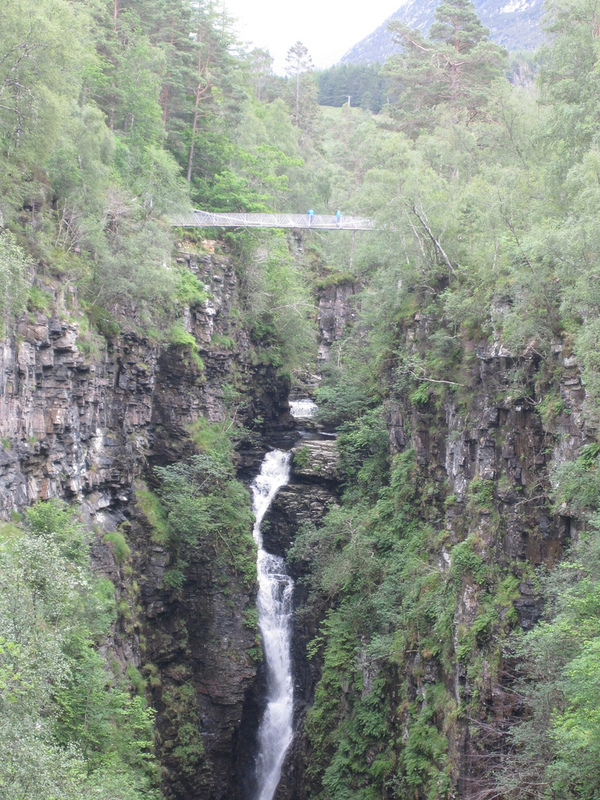 The name CorrieShalloch means ‘unattractive corrie’ in Gaelic, however many visitors to the gorge would probably dispute this. There is a suspension bridge which makes crossing the gorge safe, which has been there since Victorian times (but has been reinforced since!). The gorge is full of wildlife, and can be a great place to spot a wide variety of birds and other animals, including Golden Eagles! Killiecrankie is another gorge, and is well known for being where one of the goriest battles in Scottish history took place – The Battle of Killiecrankie. 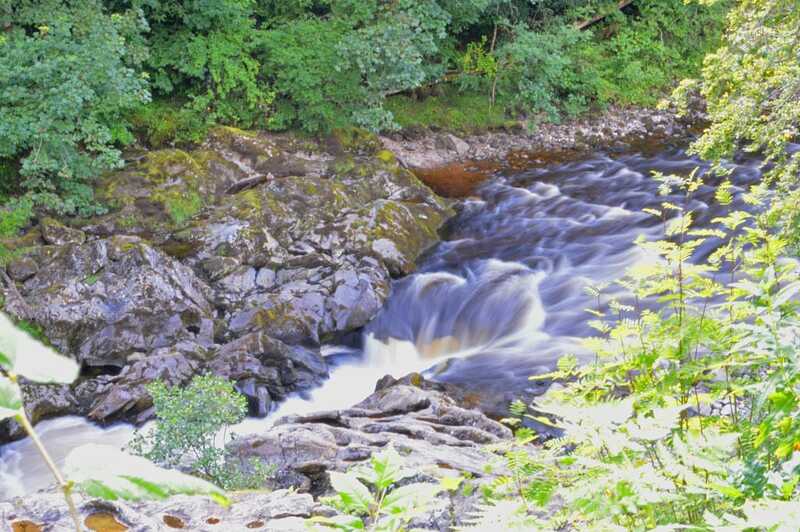 The history of the battle is still etched on the gorge, most notably in the form of Soldier’s Leap – the spot where a Redcoat soldier leapt 18ft across the river Garry to flee from the Jacobites. However, it’s not just gory history that attracts visitors to Killiecrankie, as the gorge is also home to a variety of wildlife, including red squirrels, woodpeckers and pine martens. Accessible parking and toilets are available on site, and there are also baby changing facilities and activities for children at the gorge, so if the gory history isn’t their thing then they won’t be too bored! The gorge is a perfect place to bring dogs too. There is also a small shop at the gorge where hot drinks can be purchased. 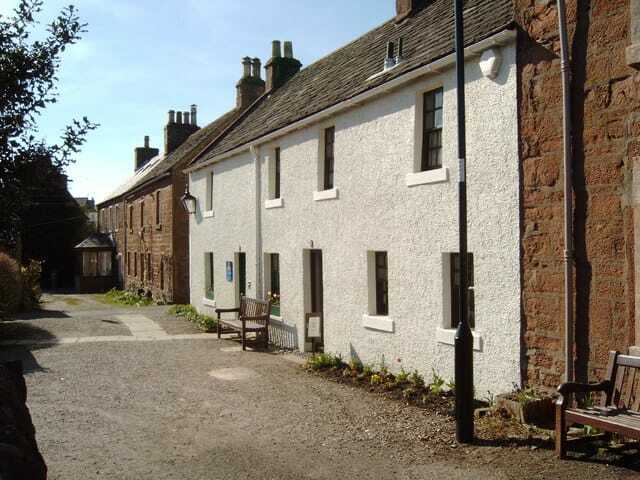 The David Livingstone Centre is a biographical museum in South Lanarkshire, dedicated to the life of the explorer David Livingstone. 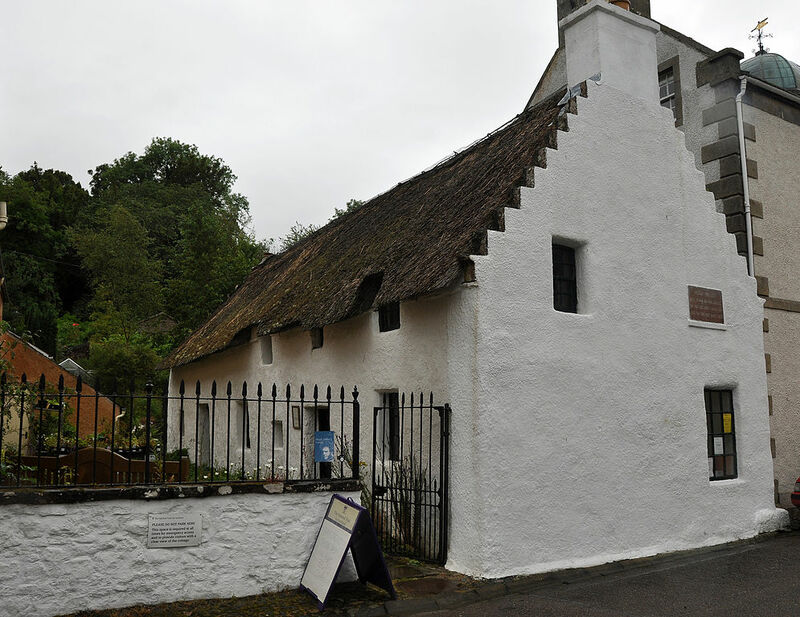 The museum is hosted in an Grade A listed building, and is a great day out for anyone, regardless of whether they’ve heard of David Livingstone before or not. The building itself is one of the old mill buildings, where Livingstone was born and then worked during his childhood. 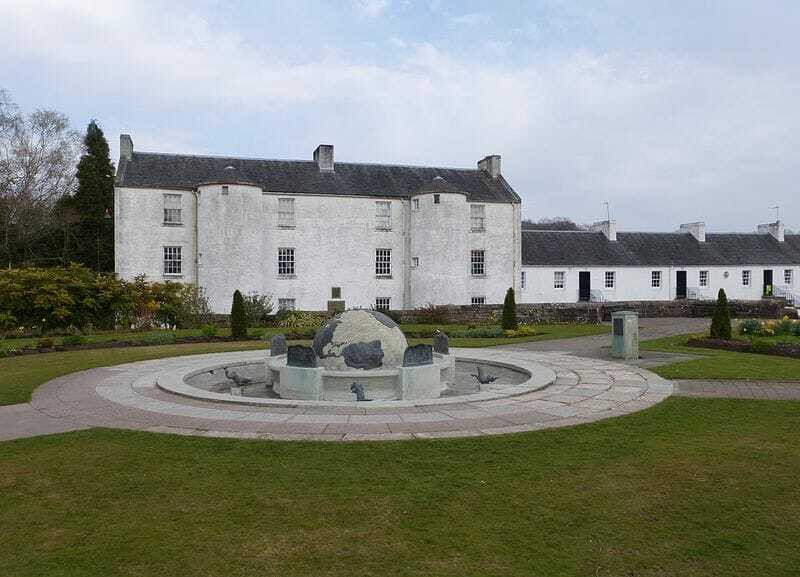 The location of the mill buildings in South Lanarkshire is in stark contrast to the contents of the museum – full of information and artefacts collected during the travels of Livingstone around Africa. The centre itself not only acts as a museum, but also as a memorial to Livingstone, one of the great British heroes of the Victoria era. The centre cost roughly 6 million to build, but you can see where the money was spent. Not only is the appearance of the museum incredible, there are countless exhibitions inside. Journals, letters and equipment belonging to Livingstone have all been preserved. There is a restaurant on site, and parking is also available. Hugh Miller was one of the great Scots of the 19th century. He was known as a fossil hunter, stonemason, writer and social justice campaigner, among other things. The most incredible thing about Hugh Miller was that he was entirely self-taught in geology, which is staggering when you consider the legacy he has left behind. The incredible story of his life, which includes being orphaned after his father was lost at sea, is told at Hugh Miller’s Birthplace & Museum, which is now a National Trust property. The cottage was actually built by Miller’s grandfather, who was himself a pirate. The Georgian Villa where the museum is based was built by Miller’s father. The exhibitions are pretty interactive, and really informative, so visiting the museum and cottage is a great day out. Not many people realise that the creator of the globally known story of Peter Pan, JM Barrie, was born in Kirriemuir, Scotland, however fans of Peter Pan are known to flock to this little town from all over the world. Although there are plenty of Peter Pan things to visit in Kirriemuir, the main attraction is a little house, where Barrie was born. The house is a typical weaver’s house; everyone lived upstairs and the windows are large so that looms could be removed. Barrie lived with his seven brothers and sisters in two upstairs rooms, while his father’s weaving workshop was downstairs. The washhouse in the yard was Barrie’s first theatre, and is believed to have inspired the Wendy house in Peter Pan. There’s an exhibition in the house which tells the story of his life and work and includes the writing desk from Barrie’s London flat where he penned Peter Pan. Guided tours are available around the house, and there are staff members in every room of the house who can help with any questions you may have. There is a small shop where books by JM Barrie and other popular Scottish writers can be purchased. If you’re visiting the house, it’s important to keep in mind that it is essentially a museum and should be treated as such. 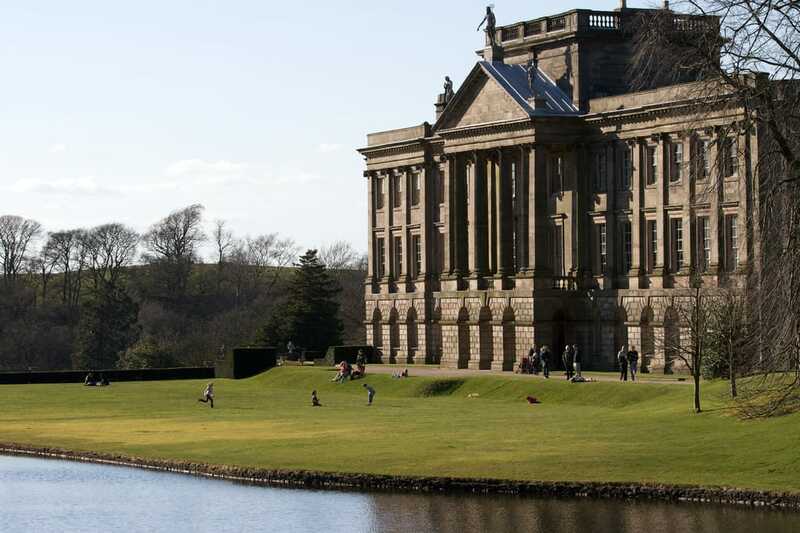 Perched on the edge of the Lake District is Lyme Park, an exceptionally beautiful part of Britain. The 1400 acre of land is home to a stunning house, as well as woodland and moorland, and is a great place to explore for people of all ages. Red deer can be seen throughout the area, and the estate is the filming place of Pride and Prejudice which makes it very popular with fans of the film. Although much of the estate has been left untouched, there are several gardens throughout the area which are worth exploring too – including the rose garden and the ravine garden. Lyme Park also has facilities for children, including rope walks and a badger den which will keep little ones entertained. No open fires are permitted unfortunately! Ostereley Park is one of the largest open spaces in London, and is a popular spot for tourists and Londoners alike. Much of the appeal is that the green open space of Osterley Park is worlds away from the hustle and bustle of the city centre, despite only being a short trip on the tube away. The Park is a clean and impressively well kept area now, however it was only very recently that this was the case. It was previously an overgrown area of wilderness which required a huge amount of work to tidy up. 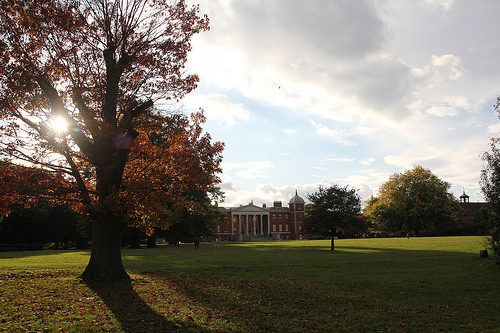 If you visit the park today, you’ll like find people running and cycling along the paths, as well as tourists admiring the impressive Osterley House, which is nestled in the heart of the park. 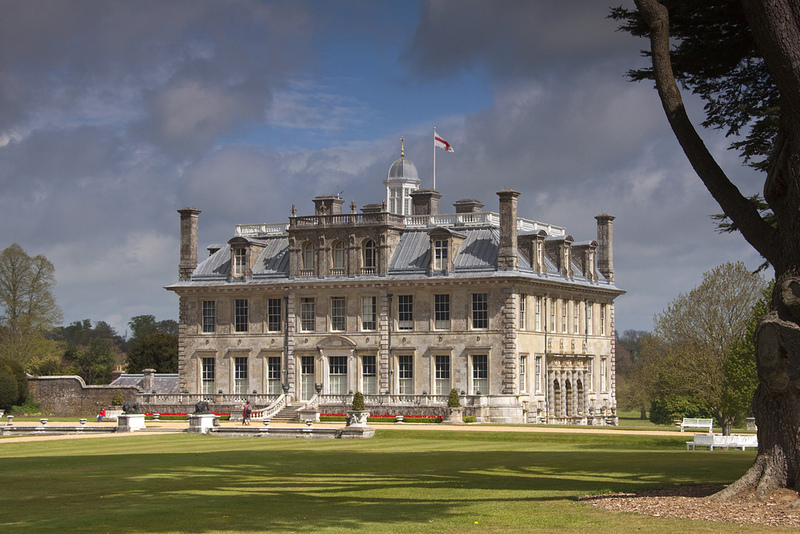 Built to resemble an Italian palace, Kingston Lacy is a lavish country house teeming with fine art and antiques. The house even has a room known as the ‘Egyptian Room’, which is home to the largest private collection of Egyptian artefacts in the UK. The house is often regarded as being an ‘art lover’s dream’, as there is a huge amount of art on display from a range of different artists. However. it’s not just the house that is worth visiting – the surrounding gardens are a great combination of woodland and extremely well kept land perfect for kids to run around. There are various points of historical importance on this site, including a Roman Road and Iron Age forts, so respecting the area is definitely encouraged. Cheddar Gorge is arguably the most famous Gorge in the whole of the UK. It is unique in that it is a limestone gorge, and it is perhaps most famous for being the site of where the oldest complete human skeleton ever found in the UK was discovered. ‘Cheddar Man’ as he was dubbed when he was found at the start of the 20th century is thought to be over 9,000 years old, and is one of the main reasons why Cheddar Gorge was able to establish itself as such a popular attraction. The gorge and the caves within the gorge were formed by rivers flowing within the gorge. The gorge is estimated to attract around half a million visitors every year. 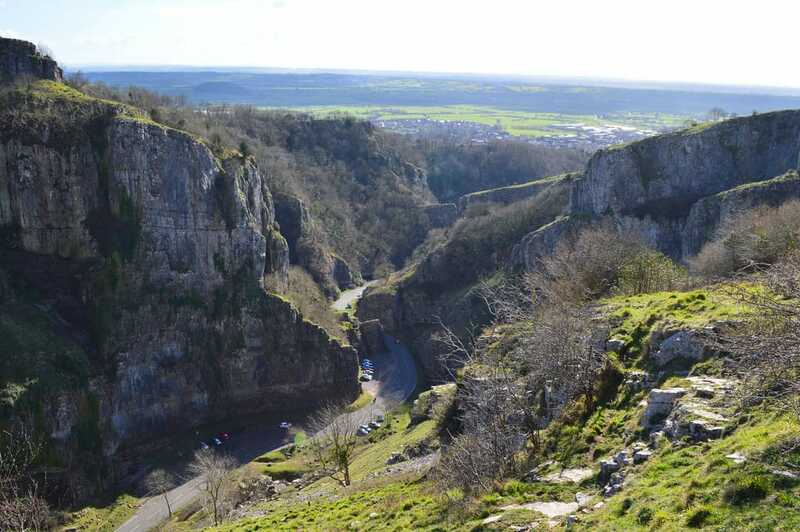 At nearly 400 feet deep and over 3 miles long, Cheddar Gorge is the largest gorge in England. It is estimated that the gorge is over 1 million years old, and must have formed during the last ice age. The gorge is adjacent from the village of Cheddar, which is full of cafes and shops. 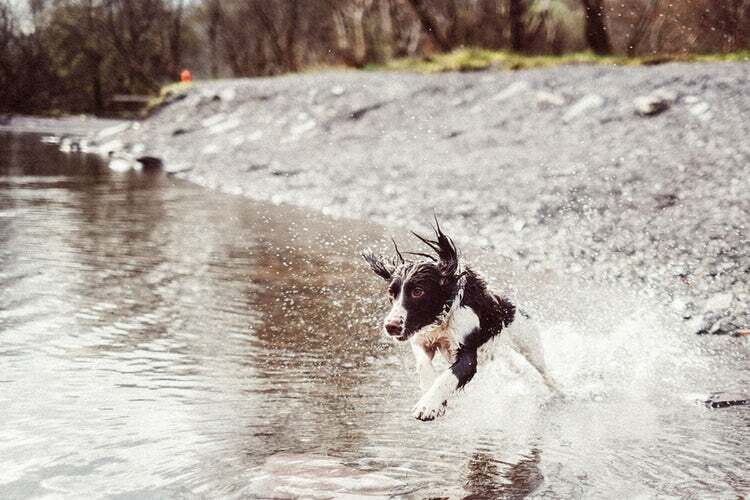 Dogs are welcome at the gorge, however it is asked that they are kept on a lead if possible. As you would imagine, the gorge has steep sides so it is recommended that appropriate footwear is worn when visiting, and it is also advised that the gorge may prove tricky for those with limited mobility. 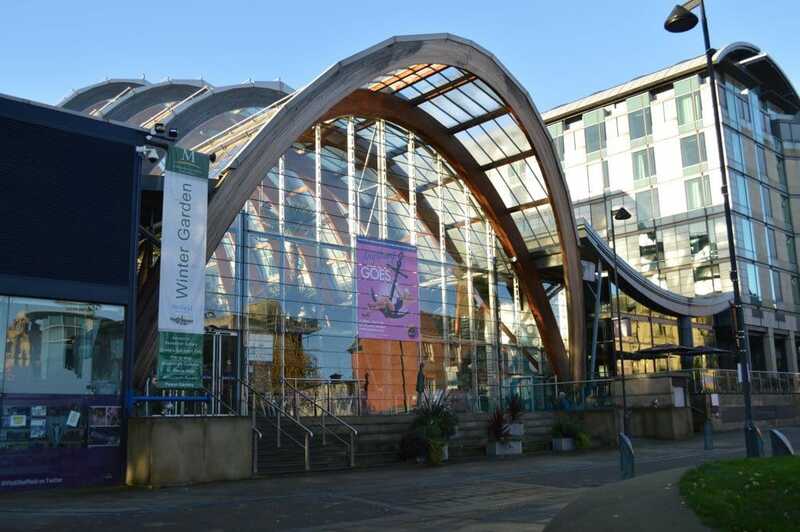 The Winter Garden in Sheffield is one of the largest temperature glasshouses to be built in the UK over the last 100 years, and is a firm favourite with locals and tourists alike. The Winter Garden includes over 2,500 plants and flowers, all crammed within a glasshouse that is approximately 5,000 times the size of a standard greenhouse. The Winter Garden is also the largest urban glasshouse in Europe, and the urban setting of it is also part of the appeal, as it is quite amazing to see such a variety of plants in the heart of the city. The bedding plants are changed 5 times per year, so every time they are changed it’s worth going along to take a look. Amazingly, all of the plants in the glasshouse are watered by hose or watering can, which must be a huge job. The wood used to build the glasshouse is Larch, a durable timber which will turn into a silvery grey colour over time. All of the larch used has been derived from sustainable forests. By properly following countryside etiquette you will ensure that you and others are able to fully enjoy the British landscape now and for years to come. You can help to keep the land accessible, safeguard animals and the environment, and protect the livelihoods of those who rely on the land. With the correct knowledge, equipment, attire, and mindset you can explore Britain the right way – and keep out of trouble! 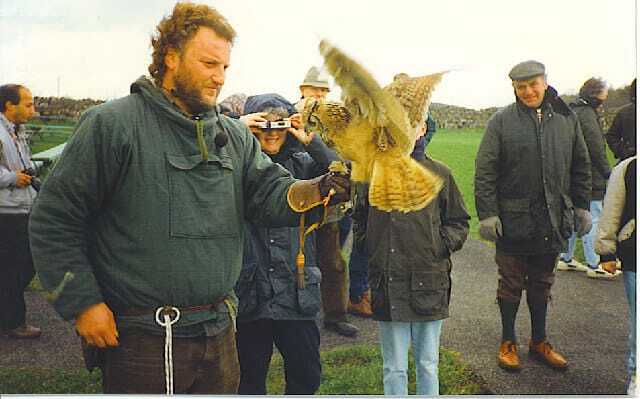 Huntly Falconry Centre is a falconry centre based in Cairnie, Scotland. The Centre regularly holds bird of prey demonstrations throughout the season, where owls, hawks, falcons and eagles can be seen flying and members of the public can get up close and personal to these amazing animals! It is an extremely highly rated attraction with a following of regulars who visit the centre annually, and it is very highly rated on Google. If you’re interested in heading to the Huntly Falconry Centre then you book in advance and head for a tuition session where you’ll be able to handle the birds. It’s as great for adults as it is kids too, as you can head to the centre for corporate ‘group activity’ days, a great way to break the ice with your colleagues!